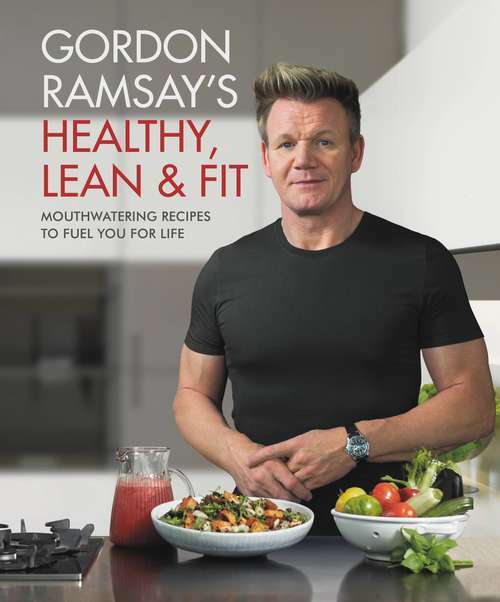 The definitive guide to eating well to achieve optimum health and fitness, by one of the world's finest chefs and fitness fanatic, Gordon Ramsay.Gordon Ramsay knows how important it is to eat well, whether you're training for a marathon or just trying to live healthier. And just because it's healthy food, doesn't mean you have to compromise on taste and flavor. As a Michelin-star super-chef who is also a committed athlete, Gordon Ramsay shares his go-to recipes for when he wants to eat well at home.HEALTHY, LEAN & FIT provides readers with 108 delicious recipes divided into three sections--each one offering breakfasts, lunches, dinners, sides, and snacks--highlighting different health-boosting benefits. The Healthy section consists of nourishing recipes for general well-being; the Lean section encourage healthy weight loss; and the Fit section features recipes to fuel your next workout and post-workout dishes to build continued strength and energy. Whatever your personal goals, these dishes will inspire you to get cooking and improve your own health.